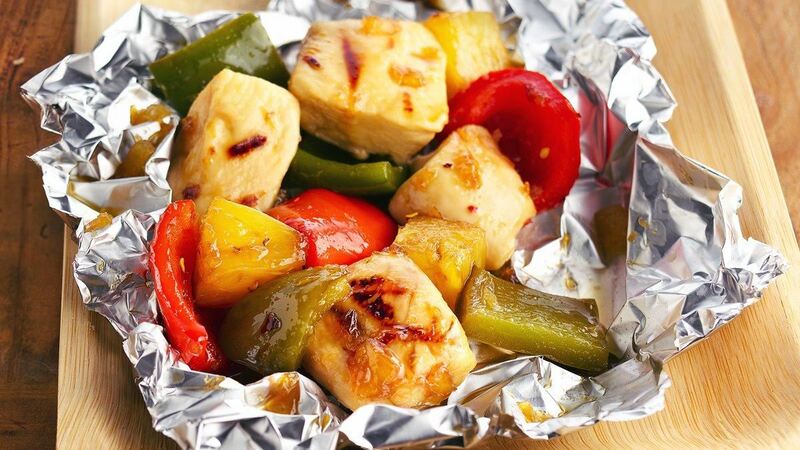 How-To: This new twist takes the work out of kabobs. Instead of skewering the vegetables and meat and brushing with the glaze, they are combined in a simple packet and grilled. Substitution: Substitute your favourite preserves for the pineapple variety in this recipe.